It’s not a get-rich-quick scheme. It’s food rescue at Second Harvest Heartland. The $50,000 is a grant from Wal-Mart, and the 607,000 are pounds of fresh food that four different food shelves can now distribute to their communities. How do you multiply an investment 12 times? By adding things like coolers and wider doors to food shelves. How can something that simple help? Retailers trust Second Harvest Heartland to train both store employees and local agency partners on food safety and handling, donation guidelines and accounting practices. 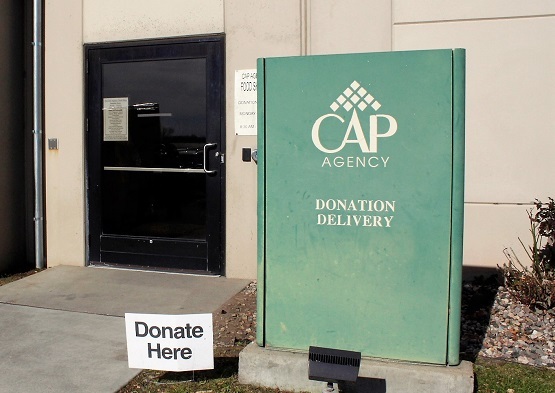 Second Harvest Heartland and our agency partners have been able to partner with more stores, in more locations helping connect agency partners with donations that were difficult to access in the past like produce, meat and dairy items. Together, these partnerships and practices deliver one of the largest food rescue programs in the country. Expanding more into prepared food (e.g., from food service, catering, restaurants), using an app called MealConnect (funded by General Mills; built by Feeding America). Through the app, a hotel that prepared 300 meals for a wedding where only 200 people showed up, for example, can quickly post a picture of the food available, and then local meal program partners or food shelves can opt in to pick it up.